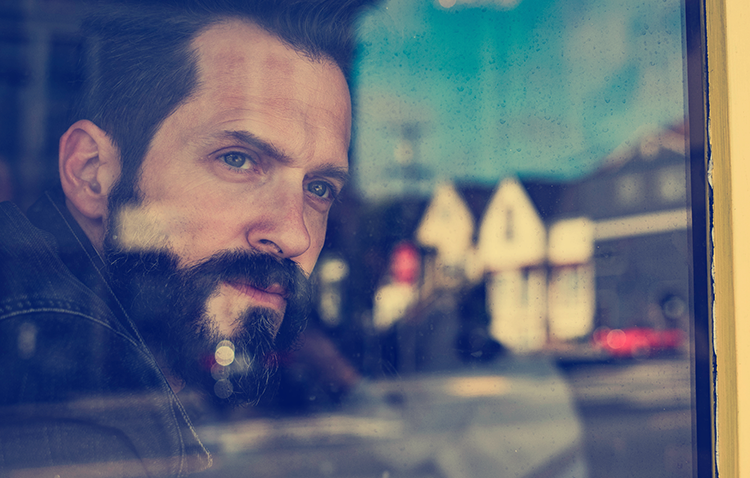 That’s how Tony Lucca summarizes the career milestones that led him to Nashville — and on the brink of his most important album yet. As a teenager, his time as a “Mouseketeer” on the infamous Mickey Mouse Club came when he was mature enough to understand what the exposure meant for his young career — and more importantly, what it didn’t mean. In the early 2000s, Lucca found himself at the epicenter of the burgeoning Hotel Café singer-songwriter movement in Los Angeles. A scene that eventually helped craft his critically lauded 2006 album Canyon Songs, which came during not only a creative peak, but after he had built a steady following both as a headlining artist and tour support for his fellow Disney alumni Justin Timberlake and JC Chasez in NSYNC. In 2012, Lucca burned up The Voice stage, making it all the way to the finals on the back of his electric performances, each time performing as if he had “nothing to lose” — thanks to more than a decade of development and an already passionate fan base. Oh, and Lucca’s season still ranks as the most-watched season of the show by total audience size. But as monumental as those moments may seem, it was his 2013 move to Nashville that may be the greatest stroke of good timing. Just as many of Lucca’s contemporaries were moving to Nashville to cash in “not on country, but on the community,” as he says, Lucca felt poised for a change. One that included elevating his own songwriting — a personal challenge that is as admirable as it is eyebrow raising to those already familiar with Lucca’s stalwart catalog. Lucca’s admiration and respect for Nashville’s songwriting community, it turns out, was mutual. He quickly found his calendar consumed with co-writes from old and new friends alike. Those include tour-mate turned co-writer and “Nashville treasure” Gabe Dixon, as well as the Grammy-nominated Billy Montana (“Sage wisdom — bit of a mentor,” Lucca says of Montana). Lucca brought his same workman-like mentality to songwriting in his new hometown, writing “daily and diligently.” He eventually developed a songwriter residency at Midtown venue The Local, all the while touring the country. Throughout that process, Lucca began “salting away” the songs that really reached out and grabbed him. “Those songs that make me sit in an empty room with an acoustic guitar and go, ‘Yeah, I’d be playing this song right now even if nobody were listening,’” Lucca says. There’s one song in particular so arresting it became the cornerstone for all the work to come after it. “I wrote something that reminded me I still have something sufficient to say, something that still matters to me — and that was the song ‘Everything’s Changing,’” Lucca says. The emotive, dynamic song became a live show stunner and the catalyst for Lucca’s forthcoming 2019 LP. The combination of meticulously crafting songs and freewheeling in the studio led to a record that is ready to announce Lucca as a force not just for his vocals, but also for his voice. Talk about good timing.